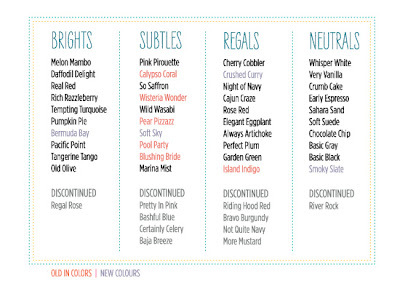 Stampin' Up are refreshing their colour families starting on 1st July when the new annual catalogue launches. 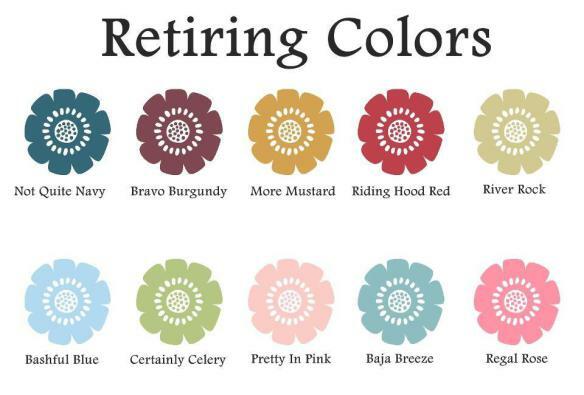 They are replacing some of the least used and out of date colours with more trendy popular ones! 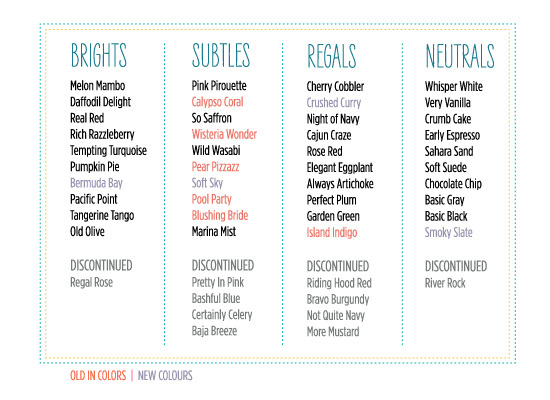 But in their place we will be getting 4 brand new colours and 6 of your favourite in-colours will be brought back! The retiring colours have already started to sell out and won't ever be back in stock - so if you need inks, card-stock or ribbons in these colours let me know and I'll get an order in for you.